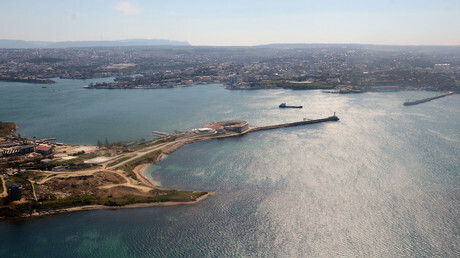 The expansion of US sanctions, which have targeted entities responsible for constructing a bridge link between Crimea and the mainland, has been met routinely in Russia. As the Kremlin thinks of countermeasures, Russian companies insist their business will continue as usual. On Thursday, the US Department of the Treasury’s Office of Foreign Assets Control (OFAC) added 37 individuals and entities to a sanctions list “related to Russia and Ukraine.” The list, initially introduced back in 2014, now includes an additional 11 Crimean officials, seven firms that participate in the construction of the 19 km (11.8 miles) road-and-rail bridge across the Kerch Strait, as well as vital defense industry firms operating in Crimea were also sanctioned. A Kremlin spokesperson said that Moscow will analyze the new list, but will most likely respond with countermeasures. “We have to analyze what was expanded, but usually, in such cases, a principle of reciprocity is used,” presidential pres secretary, Dmitry Peskov, told journalists. Gazprom, whose subsidiaries were also included in the list meanwhile said that the new sanctions will not affect its business. Some 26 entities of the Russian gas giant, including Gazprom-Media and regional branches of Gazprombank, were placed on the list, which de facto have been on the US sanctions list already. 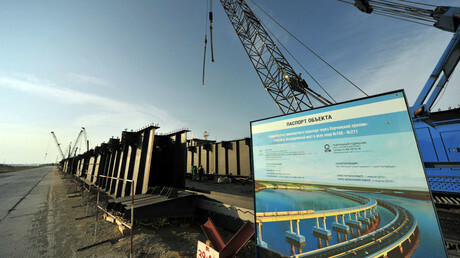 After Russia secured the peninsula’s energy independence from Ukraine by completing an energy bridge in spring, construction is continuing on a road-rail bridge connection to span from the Taman Peninsula of Krasnodar region to the Kerch Peninsula of Crimea. The $3.2 billion project was awarded to Arkady Rotenberg’s SGM Group. While it is projected that the bridge will be opened in December 2018, Washington has now applied more sanctions to complicate the erection of the vital infrastructure. “Treasury stands with our partners in condemning Russia’s violation of international law, and we will continue to sanction those who threaten Ukraine's peace, security and sovereignty,” said John Smith, acting director of the Treasury’s Office of Foreign Assets Control, which levies sanctions. Part of the list includes Rotenberg’s SGM – Most and its subcontractor Mosttotrest, in addition to a number of subcontractors directly involved in engineering and constructing the link. Until 2015, Mosttotrest was owned by Rotenberg, but now it is controlled by the Russian Railways subsidiaries. 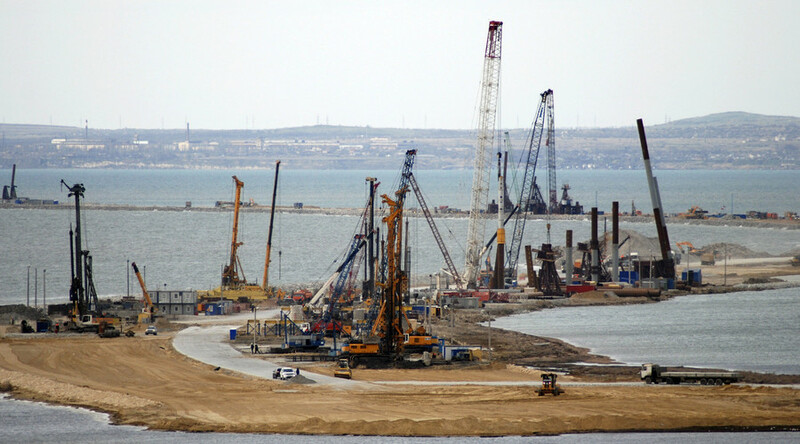 But the newly invoked sanctions will not interfere with the construction of the bridge, Crimean Bridge info center reports. “The contractor has all necessary resources for the timely implementation of the project,” the statement noted. After the coup in Ukraine in 2014 and the subsequent Crimea’s accession into the Russian Federation, the relationship between the United States, the European Union and Moscow has suffered. The Western allies introduced several rounds of anti-Russian sanctions, blaming Moscow for the deteriorating situation in Ukraine.